Technology is influencing every step of the manufacturing process. Robots are playing an important role in transforming manufacturing. To see this, all we have to do is visit factories where robots do all the physical work. These are the most ambitious and technologically advanced factories of today. As an example, the Japanese robotics maker FANUC has been operating a “lights-out” factory since 2001. In their factory, robots are building other robots completely unsupervised. This factory not only operates with no lights, it also runs without air conditioning and heat. This is an efficient and cost savings factory. In recent years major advances in machine learning have taken AI from the lab to the marketplace. More innovations and investments will be needed for its wider implementation, as AI is likely to become very important to manufacturers. The emerging AI revolution can be regarded as reducing the cost of predictions, because of the extensive growth of big data, effective and low-cost computer technologies, and advanced machine learning algorithms. Given the broad role of predictions in manufacturing, AI is having an immense impact on a wide range of applications. Because of new research tools, AI can now gather data in almost any area of interest and analyze the data with progressively more complex AI algorithms. Machine learning shows great promise in researching problems that require classification and prediction with improved performance in R&D projects where there are substantial challenges. The result of growth in technological opportunities and the enhanced productivity of R&D seem likely to generate economic progress that can overpower any near-term impact of AI on jobs, organizations, and productivity. 3D printing is now an essential tool in any design studio. Designers can employ 3D printing to see what a future product will look like before ordering a lot of physical parts. Conforming cooling for plastic injection molding is materializing as a technology that could be extremely valuable for making mold tools. With techniques like metal 3D printing, complex cooling channels can be augmented during the mold design phase more readily than in post-processing. Adidas is the best example of mass production of products which are partly 3D printed. The famous Adidas 4D FutureCraft shoes have soles that are entirely made by a 3D printer. The biggest advantage of such production is that there is no additional material, otherwise known as waste. Since the entire sole is one piece, and not constructed with several pieces such production is an eco-friendly alternative to other production methods. 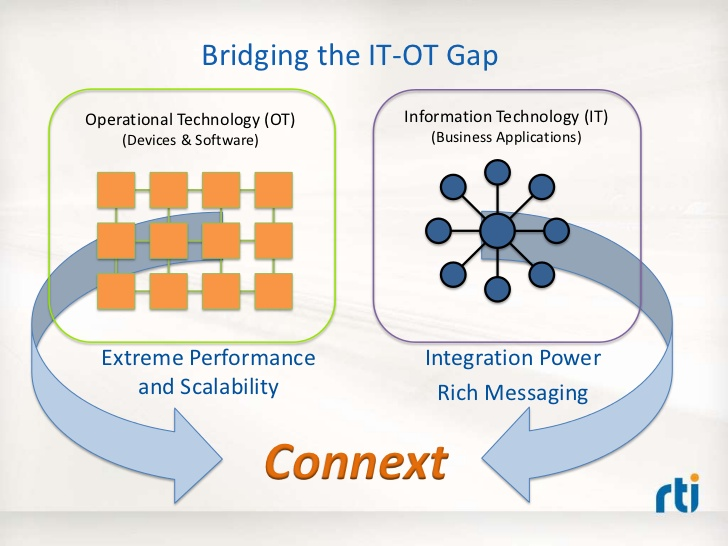 Operational technology (OT) is akin to traditional IT, but designed for the production floor. Where the conventional IT covers desktops, laptops, and connectivity for information work, OT manages the direct control or monitoring of physical devices. For manufacturers, OT typically includes connecting manufacturing machines with supervisory management and data acquisition systems and human machine interfaces, which deliver industrial observation for operations analysts. OT also handles programmable logic controllers, which are the computers that capture data on factory machines, as well as 3D printers and CNC machines for subtractive manufacturing. In a way, IT and OT are two sides of the same tech coin, and as manufacturing becomes more digitized, the boundaries will continue to come together. Connected machines in future factories should see an end to cloud computing. Companies like Saguna Networks focus on edge computing, which means close to the point of collection. Edge computing is the practice of processing data near the edge of a network, where the data is being generated, instead of in a centralized data-processing warehouse. Edge computing is normally referred to in IoT use cases, where edge devices would collect data and send it all to a data center or cloud for processing. Edge computing reviews the data locally so that some of it is managed in the vicinity, reducing the backhaul traffic to the central storehouse. 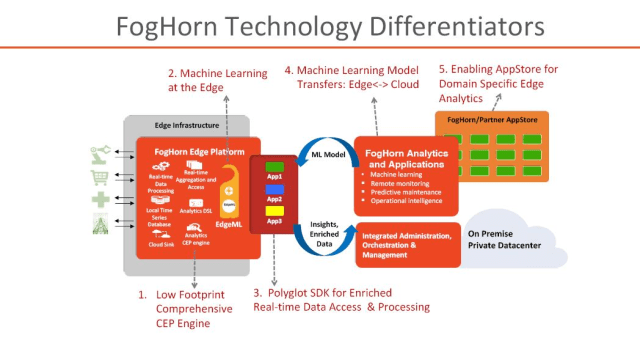 Whereas, a company like Foghorn Systems works with fog computing, which is like a lower-hanging cloud that’s done on-site like a LAN. Both methods allow mission-critical devices to operate safely without the dormancy of transmitting all data to a cloud, saving big on bandwidth. A decade ago, industrial robots supported workers in their work. Now, workers support the robots in theirs. The workers on the plant floor now need to be considerably more skilled than they were in the past. Because of better digitization and cyber-physical technologies, the efficiency that is available to the workers is an emerging technology like augmented reality (AR), wearables, and exo suits. Augmented reality will be able to enhance the skills of the industrial worker. AR is a hands-free browser that can convey factory performance statistics and assign work. AR can evaluate complex machine environments and use computer vision to map out a machine’s parts, as though it was a real-time visual manual, making highly skilled labor a downloadable skill. For field service using mobile and iPad cameras, AR can highlight parts on industrial equipment and connect to support experts in real time, saving on the travel costs of flying people to repair broken machines. Exoskeleton technology is being used more in manufacturing. This technology could significantly reduce injuries due to repetitive work. The wearable high-tech gear bears the load along with a worker’s limbs and back. There are jobs that humans are still needed for some dirty and dangerous jobs. Wearables and exoskeletons will supplement a worker’s ability to do work while maintaining safety. Presently, they are expensive, but cheaper, more capable exoskeletons are coming out. There is an entire wearable robotics industry that will become a $2 billion global market by 2025. In mass production, checking that every product is manufactured to specification is a dull job that is limited by human shortcoming, but future factories will use machine vision to look for imperfections that the human eye may well miss. Machine vision is the capability of a computer to see, employing one or more video cameras, analog-to-digital conversion and digital signal processing while sending the data to a computer or robot controller. Machine vision is comparable to voice recognition. Manufacturers, who invest in the latest manufacturing technologies and innovation ecosystems, will become more competitive than those who compete on price alone. Advanced technologies are producing better quality products, that, in turn, deliver higher margins and a stronger competitive edge.